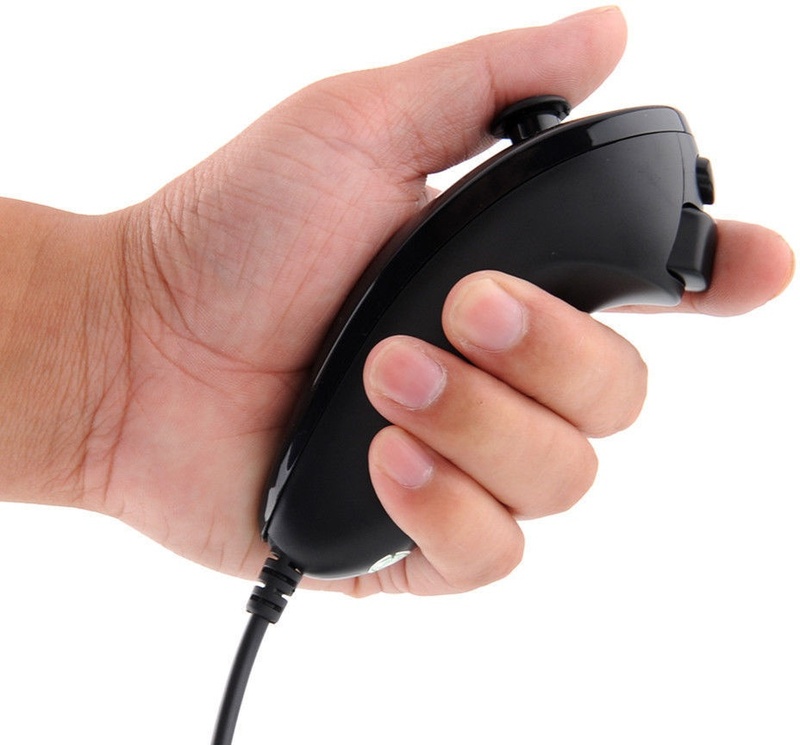 Nunchuck controllers are inexpensive and can be purchased from Delptronics, Amazon, eBay, and video game stores. Includes all parts needed to build the complete module. Includes all parts needed to build the complete module, plus a nunchuck controller. Each output can be individually configured for 0-5V or 0-10V output range. Positive voltage on the hold jacks allows the Tilt CV to change. Zero volts holds the Tilt CV values steady even when tilted. Tilt X Hold jack is normalized to V+. Tilt Y Hold jack is normalized to the Tilt X Hold jack.